To put it simply with no complicated words, Z-wave technology is pretty much like Wi-Fi or bluetooth technology but it uses radio frequencies. 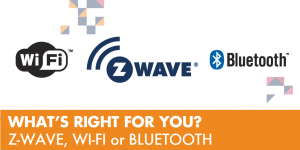 Z wave is a new way to connect different smart home gadgets and devices to communicate with each other through radio frequencies which is important as it will not interfere with frequencies of your wireless. While Wi-Fi protocol operates in the 2.4GHz band, z-wave uses the 900MHz band. For many people this seems convoluted and no big deal, but when they see a demonstration of what a z-wave smart home system is capable of, they change their minds. I’ve put a short video showing some of the things you can do with z-wave devices. In addition to that, you don’t have to be the son of Warren Buffet to start this journey nor the son of Bill Gates to be able to install such systems. Just like the beginnings of Android, the z-wave community, which is comprised of industry leaders, have managed to create a global organization dedicated to the development and extension of Z-Wave that they’ve called Z-Wave Alliance. You can take a look at their website at z-wavealliance.org. When you find Z-Wave Alliance logo on the product’s package, it’s a clear sign that it will work with any z-wave system baring the same logo regardless of the brand. While it’s highly unlikely that they will come to install the z-wave system of each owner, but their community is here to provide useful information about z-wave technology. For example, you can if you want to know what are the companies that manufactures z-wave devices and products, their website is the right to spot to check. They have more than 400 companies and 1500 z-wave products listed and which are all interoperable with each other. 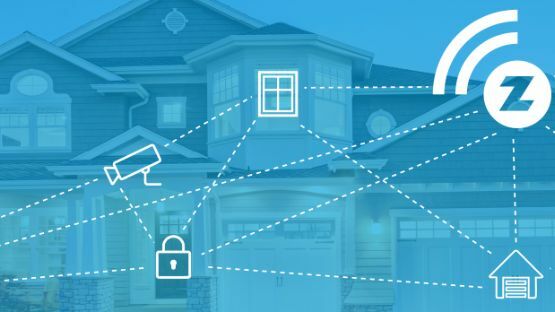 There are other ways besides Z-Wave technology with which you can let devices and sensor-enabled objects speak and react to each other and which are the 802.11 Wi-Fi and Zigbee technology. 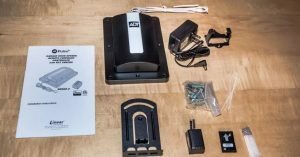 So what would you choose Z-Wave instead ? While the other protocols operates in the Z-Wave operates in the 2.4GHz band, Z-Wave use the 900MHz band. According to the Z-Wave Alliance, the 900MHz provides superior performance to the other technologies as the interference here is low at the lower frequency. In addition to that, it’s characterized by a longer wavelength which can penetrate more easily walls and objects. Some may think that 900MHz can’t do so much compared with the 2.4GHz band. This is totally wrong. With this you can control fans, thermostats, security systems, lights, locks, irrigation and more. All that with a single app lying on your sofa and even on any sofa far away from your home using internet. 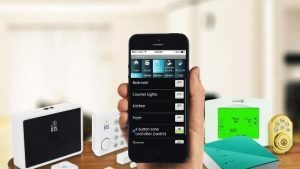 Discover one of the Best Z-Wave Devices out there and make the right choice.